Explore UBC Botanical Garden's Plant Collections! The mission of UBC Botanical Garden (est. 1916) is to assemble, curate and maintain a documented collection of temperate plants for the purposes of research, conservation, education, community outreach and public display. This site is intended to give information on the plants within the Garden's collections and grounds. 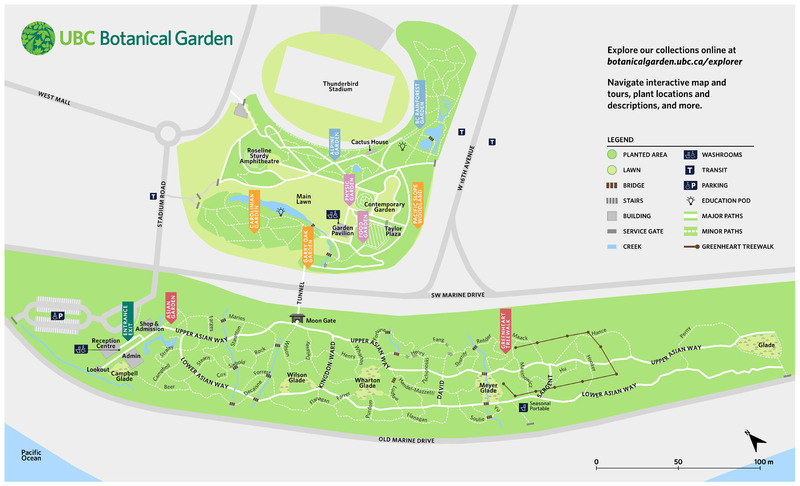 For information on UBC Botanical Garden as a visitor destination, please visit UBC Botanical Garden's main web site. In addition, the Garden has excellent collections of cultivated taxa of Magnolia, Rhododendron, alpine flora of the world, and bamboos. Please note: to help researchers and students, this site includes some native on-site flora, weeds, and mosses in addition to the plants cultivated in the Garden. It does not include nursery plants. If you are looking for additional information, please contact garden.records@ubc.ca.